The undisclosed pure electric vehicle that we expected GAC to reveal at NAIAS 2017 turned out to be a pure electric hatchback called the GE3. 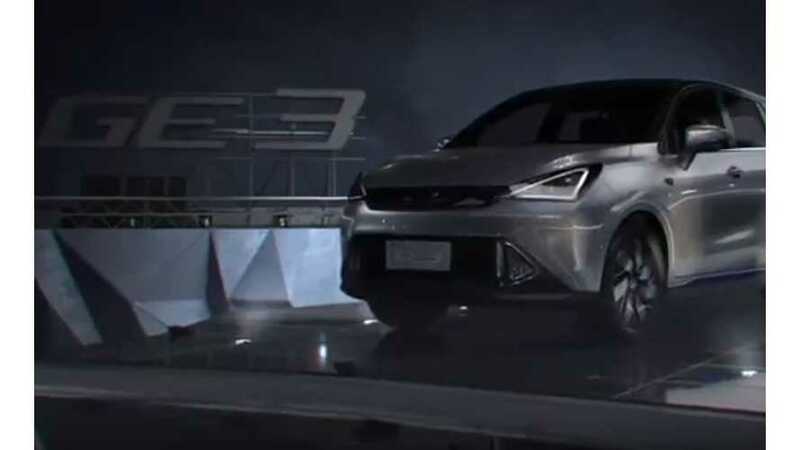 Generally, a Chinese electric car might fly a bit under our radar, but what's really interesting here is that GAC says it will begin sales in the U.S. within the next 3 years - a rarity for a Chinese-built car (and actually there isn't any Chinese owned offerings on the market currently). And if that's the case, then we should check out GE3 in a bit more depth. GAC calls the GE3 a concept, but it's obvious this car is basically ready to go. It packs a 47 kWh lithium-ion battery pack, which GAC claims is enough to provide range of 190 miles (likely on China's test cycle). Regardless, that's still a decent size pack given the size of GE3. A single electric motor puts out 120 kilowatts (160 horsepower) and 214 pound-feet of torque. 0 to 62 MPH is achieved in 9.3 seconds, according to GAC and top speed is listed at 104 MPH. All around, the GE3 seems to be capable enough, but there's one big question mark remaining. Will Americans buy a car built by a Chinese automaker? Guess will find out in a few years when the GE3 launches in the U.S.